Today automobile exhaust is cleaner than ever before, but there are serious problems with diesel emissions. In Europe diesel cars may be on their way out because car makers have cheated extensively on meeting environmental standards. 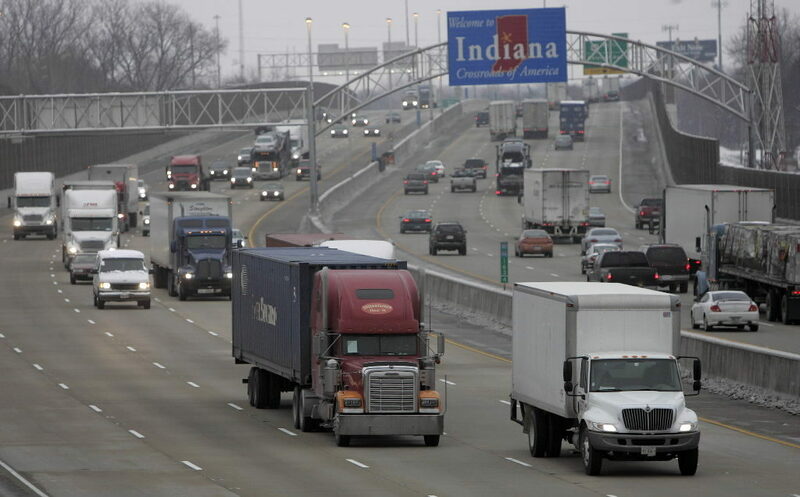 In the United States there are far fewer diesel automobiles but 11 million trucks on the road, most of them diesel. Diesel trucks in 2014 traveled 279,131 million miles and carried 73% of all cargo. What will we do about truck emissions? Is new technology needed? This needs a fresh look, and urgently. More than 24 years ago Harvard University conducted what is known as the Harvard 6 Cities Study that definitively linked mortality to air pollution coming primarily from cars, truck and buses with the main effect caused by diesel vehicles. The study found that “People in the dirtier cities were dying faster than people in the clean cities.” The reason was the fine particulate matter coming out of diesel tailpipes. A diesel engine works differently than a spark ignition engine (where the expected fuel is gasoline or gasoline mixed with ethanol). 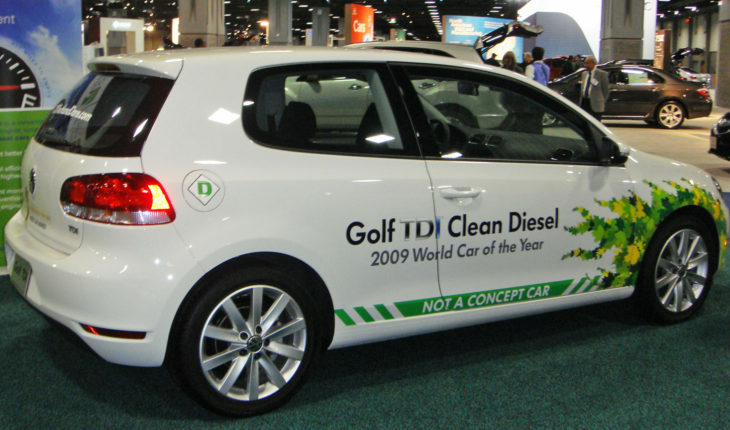 The gasoline powered vehicle (car or light truck) has benefited from a number of technology developments, among them the introduction of unleaded fuel making it possible to keep three way catalytic converters from fouling (and significantly reducing the health hazard from lead in the environment); computer controlled engines working with specialized oxygen and other senors; and fuel injection leading to combustion stability. Gasoline cars use an air to fuel mixture that is balanced (scientifically called stoichiometric) which maintains an air fuel mixture of 14 parts air to 1 part fuel. This allows the catalyst to remove pollutants and these vehicles today operate at close to zero emissions. An engineering friend of mine once put it this way: the exhaust coming out the tailpipe is more or less the same as the background air it is entering. A diesel works with high compression and uses heat for combustion. In steady driving conditions the advantages of the diesel are high efficiency and lots of torque, which shows itself best where it is needed in heavy equipment and trucks and buses. The mixture is variable and “lean” which means the catalyst that is used is not as efficient as on a spark ignition vehicle and diesels can produce lots of NOx and particulates which are hard and expensive to remove and often involve adding urea, in the trade called DEF for Diesel Exhaust Fluid. Mercedes calls its DEF product AdBlue, and it works but the owner must remember to replenish the urea mixture. But the real challenge is not only the initial cost of the mitigating technologies for diesel, but whether they are practical on average vehicles. 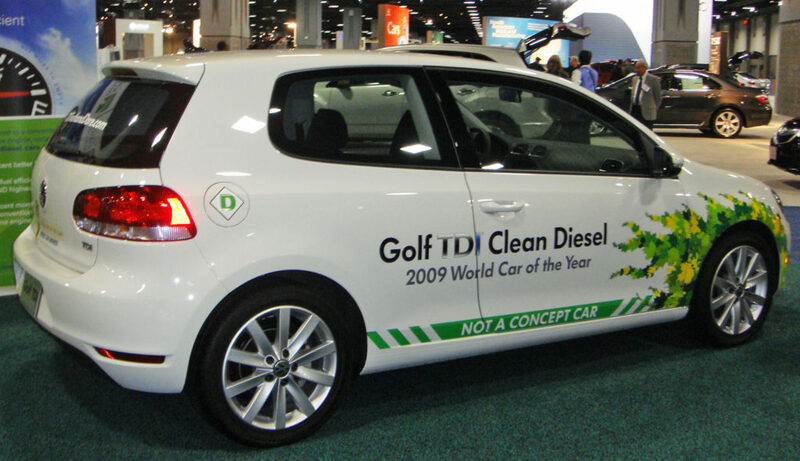 One of the consequences of diesel environmental technologies is much lower efficiency and significant power reductions. Since consumers –or even long haul truckers– won’t buy substandard performance vehicles, the manufacturers faced a near insolvable problem. How to deliver on performance while meeting environmental requirements. All this was discovered by West Virginia University that started testing vehicles in real world conditions (e.g., on the road not on a dyno). They found that NOx levels 40 times the legal limit on two VW models equipped with the 2-liter turbocharged 4-cylinder diesel engines (a Passat and a Jetta). When a car is moving on the roadway the defeat device does not turn on. Now in Europe the other shoe is starting to fall, most remarkably in Britain. The UK like others in the EU community (another good reason for Brexit?) were sold a bill of goods as to how diesel was much more fuel efficient. Interesting, the UK is perhaps the only big European country that does not subsidize diesel. Everywhere else it is much cheaper than unleaded gasoline. But recent UK tests demonstrate conclusively that the bulk of diesel vehicles pollute much more than gasoline cars, especially in NOx and particulate output. Why? One expert is Vincente Franco of the International Council on Clean Transportation, who says it is “simple economics.” If you want to produce a car competitive with a gasoline car it has to be at least as good as a gasoline car. Pollution controls would have cut the power output of these cars nearly in half and boosted the costs –not competitive. Put another way around, until technology can come up with a cost effective and reliable solution for cost and performance competitive vehicles, diesel for cars is all but dead. Sure you can still buy a Mercedes or other high priced car, but the bulk of the market is in the family car, not in luxury vehicles. If diesel is going to die for cars in Europe, and probably in the USA, what about trucks. The key factor in the Harvard 6 Cities Study was trucks and buses. People who lived, for example near a heavily used crossroad or near a bus stop were more likely to get sick. Is that still the case? It is time in the United States to reexamine whether trucks are causing as much havoc here health-wise as cars are in Europe. No one is talking much about trucks, but at issue is whether the technology is good enough to stop NOx and particulates or not? And just as importantly, do the systems on these vehicles perform over time with the same effectiveness as the day they were initially tested by EPA? If not, then a new solution is needed for the future.